Union Bay Improvement District Fires the Fire Chief with no notice. “I really can’t talk about that, because I’m not going to talk about that,” said Haraldson. How much are the landowners going to put up with? I hope Mark Jackson retains legal counsel that would take his case on a contingency basis so that the lawyer takes his fees out of the settlement – sue the asses off these incompetents! I would be interested to know if Jackson’s dismissal is even legal since it was done when the board was not functioning as a legal body since they had excluded Trustee Kaljur from all UBID business. They were not legally acting as a board by their actions – they were just 5 guys getting together secretly making unlawful decisions and trying to enforce them. They need to be stopped. The Chair appears to believe he never has to account for any of the actions taken by this dysfunctional board. 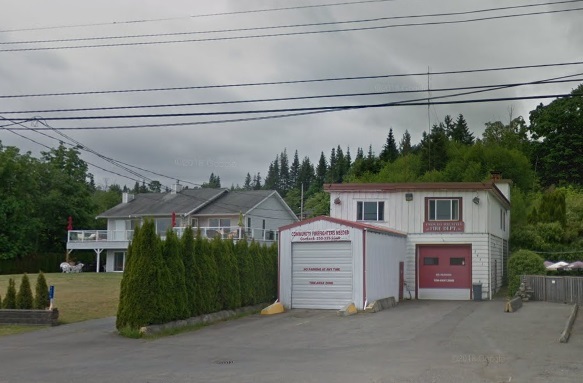 The Union Bay firehall is pictured on Google Street View. UNION BAY, B.C- The former fire chief of Union Bay isn’t happy about how he’s been treated. 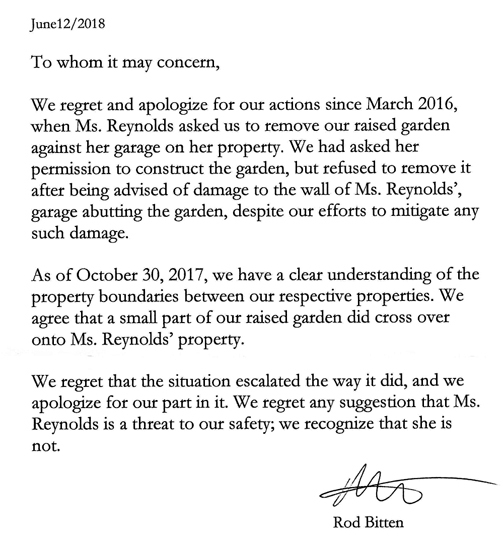 On January 30th, a statement was posted to the Union Bay Improvement District’s website, attributed to chief administrative officer Gordon Mason. “Mark Jackson Fire Chief has left the employment of the of the Union Bay Improvement District as of January 24, 2019,” read the statement. However, Jackson has said he feels like he was treated like a criminal, and hasn’t been told why he was fired in the first place. Jackson told the MyComoxValleyNow.com newsroom that he first got an email from Mason on the night of January 21st, asking for him to come to his office the next day. The following morning at Mason’s office, Jackson was told by the CAO that his services were no longer needed, and to leave his employment immediately. He was to return two days later, and get a cheque in lieu of notice for the termination. During the meeting, he was asked for the keys to his fire department vehicle, his work phone, and described being “perp walked” out of his office at the fire hall so the CAO could be sure he wouldn’t accidentally erase information from the fire department computer. “I was treated like a criminal, and told that was it,” said Jackson. He felt as though the CAO had gotten direction from the UBID board of trustees. According to Jackson, Mason said that two members of the Union Bay fire department had approached the board and were critical of his leadership, telling the board that they would leave if he wasn’t removed. “I guess they succumbed to that extortion,” said Jackson. Speaking on Tuesday, he indicated that he still hadn’t been informed about the exact reason he was fired since getting the termination pay and being told to leave. While he believed the mechanics of the termination process had been followed properly, he was still concerned about the whole chain of events. The MyComoxValleyNow.com newsroom reached out to the CAO for comment, and Mason directed inquiries on the matter to UBID board chair Ted Haraldson. Haraldson also declined to comment. “I really can’t talk about that, because I’m not going to talk about that,” said Haraldson. An announcement on February 5th indicated that firefighters Ian Ham and Kevin Macgregor have accepted interim positions for the next two to three months until a new chief is hired. Next Post Will nepotism be the next action by the rogue Union Bay Improvement District Board?